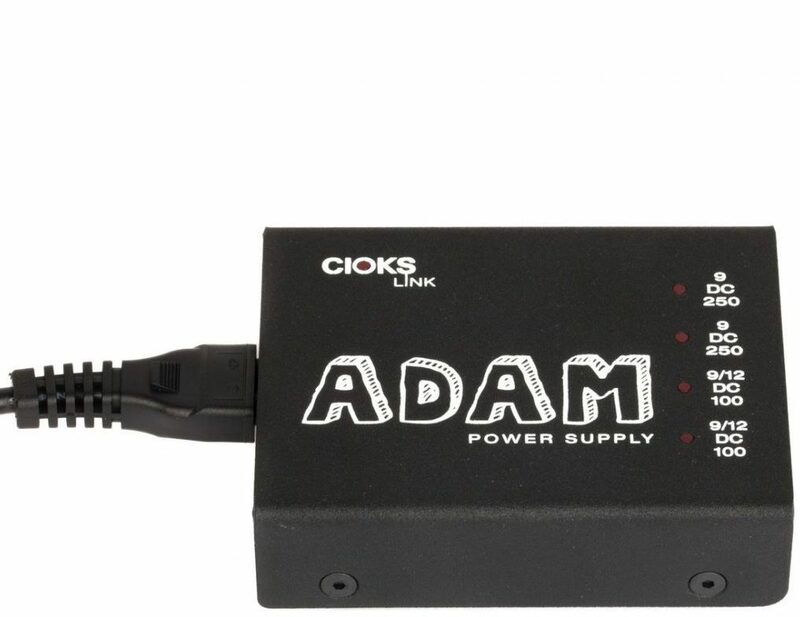 The Cioks Adam link is a small and very flat power supply for effect pedals with 4 isolated outlets. Being only 31mm high it fits under the flat Pedaltrain nano, mini, nano+ and all metro boards. 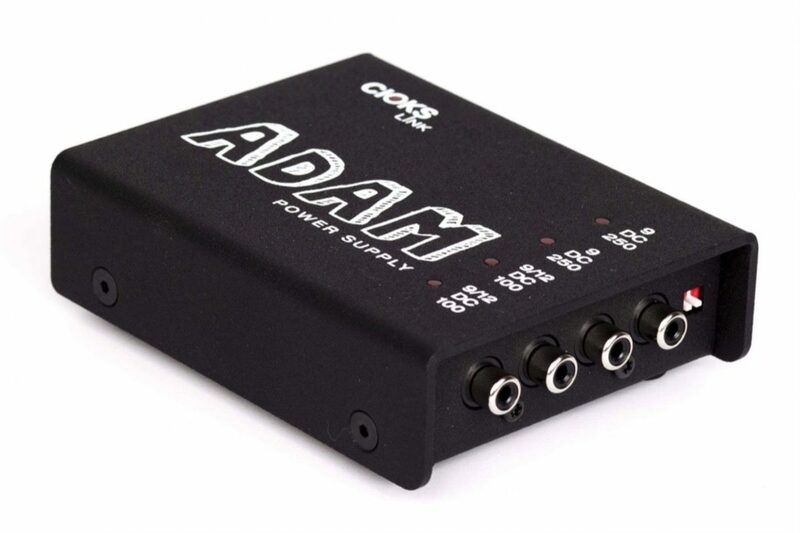 It offers voltages 9 or 12V and a total output current of 700mA. 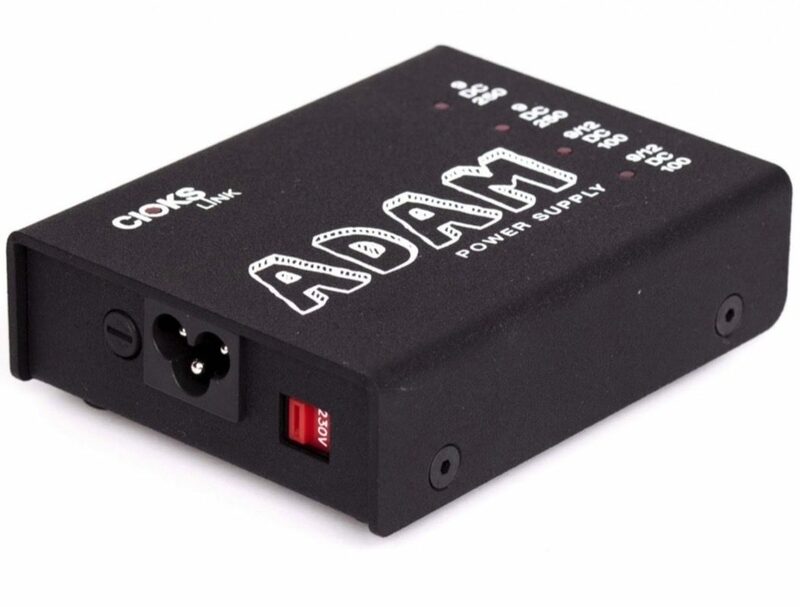 The top two fixed 9V outlets will power any two Strymon or other two medium current pedals. 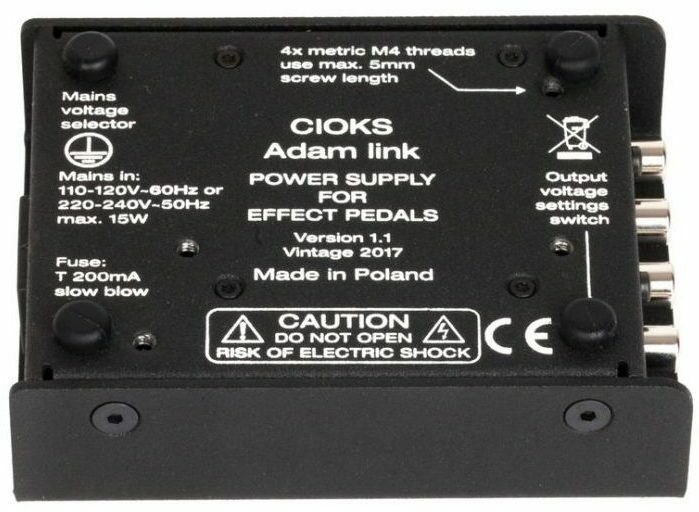 The bottom two outlets, configurable to either 9 or 12V, will power two or even more standard low current pedals when used with Split Flex or 3-way daisy chain Flex. If needed, all 4 isolated outlets will give you 9V DC in the default position of the settings switch.